acquistare viagra online generico 25 mg a Venezia Disclaimer: My only relationship with the Makah tribe consists of having enjoyed their hospitality on numerous occasions. The Makah tribal council denounces the actions of those who took it upon themselves to hunt a whale without the authority from the Makah Tribal Council or the Makah Whaling Commission. We are a law-abiding people and we will not tolerate lawless conduct by any of our members. We hope the public does not permit the actions of five irresponsible persons to be used to harm the image of the entire Makah tribe. That hope is vain, as the Makah know well. Hence the immediate dispatch of a delegation to DC in an attempt to repair the damage. stiil have left of the web of life. Some you’ve seen before. You need to watch this first one very intently to catch the surprise. Scam of the ‘Great Global Waming Swindle’. 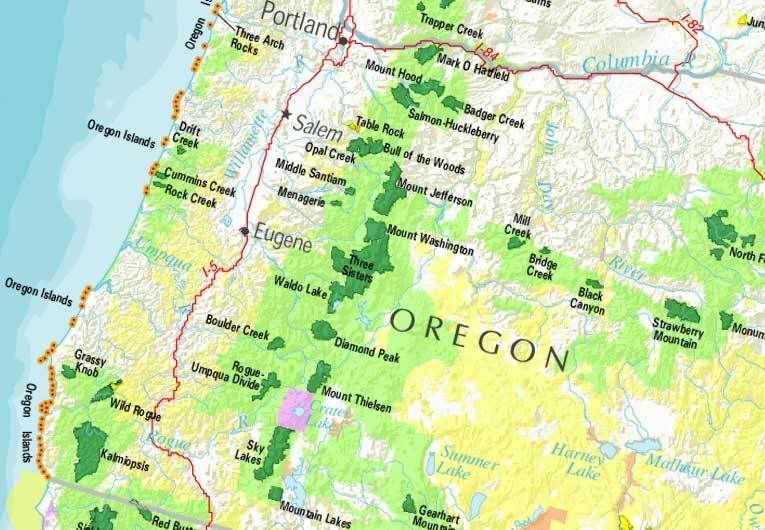 Oregon’s 4th district congressman Peter DeFazio and Senator Ron Wyden have introduced bills to create the 13,700-acre Copper Salmon Wilderness in southwestern Oregon. The proposal is enthusiastically supported by virtually every local official, the local chamber of commerce, Governor Kulongoski, and hunting and fishing groups. And for good reason. 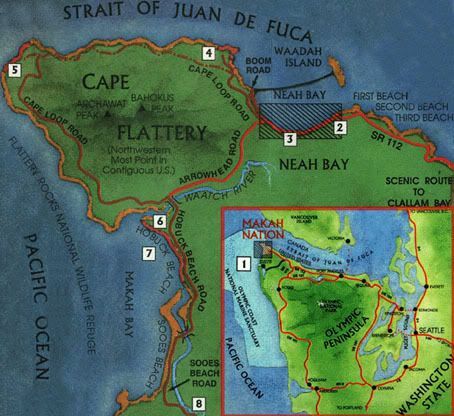 The area is home to one of the most productive salmon spawning grounds in North America. Its loss would be yet another blow to both the commercial and sport fisheries. What would the Copper Salmon Wilderness protect? In effect, the adjacent 17,200-acre Grassy Knob Wilderness is being doubled. Click on the map above to expand it and see the location. The bills are not yet available at THOMAS. When they are, Wyden’s will be S. 2034 and DeFazio’s H.R. 3513. Before the opening, before the great flood, I’m wondering about the religious and/or spiritual or faith traditions to which people here would care to claim allegiance. It’s not always straightforward. For this I will attempt a poll, something I have never done. So it will probably go all wrong. Much like I believe our religions have. Please answer conforming to what you think go to link now; there is plenty of room to elaborate and excoriate in comments. Be as serious or as flippant as you want to be, this time around. But I’m warning you: the fire next time. Yes, I know this was a mistake. But I’d like a little snapshot of the group, before it grows up, changes, and moves away. I am nothing if not sentimental. or, as Alexander Downer himself calls it, a political stunt. All Hail Market Based Policy! All Hail the Status Quo! 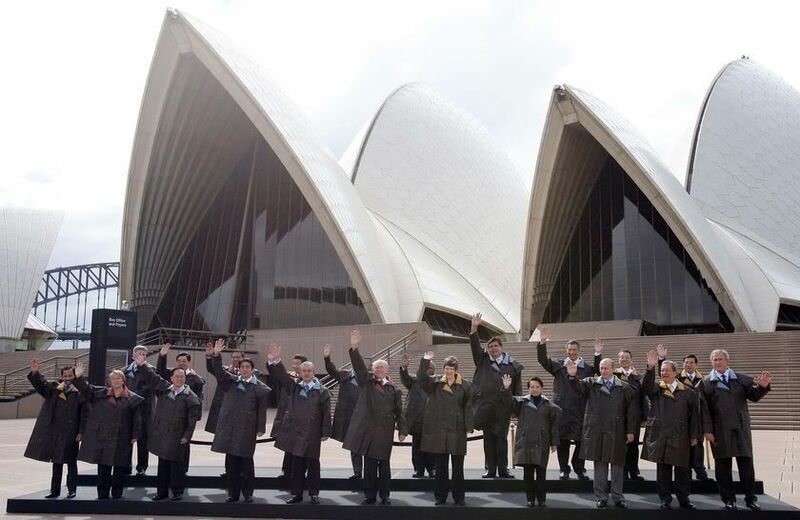 All Hail the Sydney Declaration on Climate Change! Bush, far right in the photograph, seems so exhausted by his trip to OPEC or Austria or wherever the hell it was that he can’t even lift up his paw in time with the rest. You can almost hear the photographer: comprare vardenafil online sicuro Basilicata your other right, Mr. President. The pursuit of climate change and energy security policies must avoid introducing barriers to trade and investment. Economic growth, a recurring subject in the text, is mentioned before climate change in the very first sentence. Sounds like a good plan: endless economic expansion, with no piper to pay. Where better to build an air base than directly on top of a coral reef and its associated sea grass beds, home of the last 50 dugong in Okinawa and in Japan? Okinawans have been fighting this for years now, and still it proceeds. Two things are happening in September of great import to the future Of Camp Schwab, it’s adjacent marine habitat, and the Okinawa dugong. Throughout September, the Environmental Impact Assessment (EIA) for the proposed airbase site is open for public comment. We’re using this opportunity to let the Japanese government know what the people of the world think – by delivering a petition of thousands of names to the environment and defence ministries, and calling on the government to establish a marine reserve in the area. 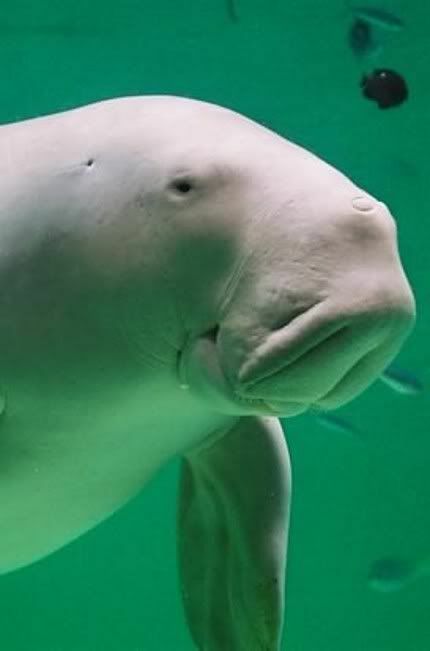 As the main remaining site where dugongs are sighted in Okinawa, the area is the obvious choice for a marine sanctuary for the dugong, something the UNEP has been calling on Japan to establish since 2002. If you wish to add your voice to that of the local opposition, click the logo to personalize and sign Greenpeace’s petition to the the Japanese government. It is a moral challenge, because those least responsible for causing the problem – the poorest people in the poorest countries of the world – will overwhelmingly pay the highest price as climate change begins to bite. If Australia is serious about being a global leader as chair of APEC, we must do three things. First, join the rest of the international community in ratifying the Kyoto Protocol. Second, commit to deep cuts in greenhouse pollution. And third, support the efforts of our neighbours and developing country partners in APEC to adapt to climate change and reduce poverty in an environmentally sustainable way. face water shortages. And sea level rise could potentially displace millions of people from small island nations in the Pacific, and low-lying coastal countries, over the next few decades. If we don’t get serious about tackling climate change, we won’t be talking about making poverty history, we’ll be making it permanent. Thank you for being such a fine host for the OPEC summit . . . .
His recovery was lamer still, if that is possible. As I type this, Radio Australia is playing Pink’s Dear Mr. President, something I have never heard them play before. Nothing else reaches the frat boy. Maybe he will understand this. Organizers in Sydney hope to set a new world record on Friday, mooning the president of the United States with 2000 sideways smiles simultaneously from Hyde Park, an area of Sydney not off limits for normal use during the APEC meeting. Thanks LoE. I’ve seen about enough different versions of this image now. There are a lot of Christians in this country. And they spend an awful lot of time griping about things. Some of them think Jews should leave the US if they don’t feel like celebrating Christmas. Which doesn’t make a whole lot of sense if you think about it. Some of them think people like me should rot in hell, after we die a horrible death. Preferably in a concentration camp. 9/11 was our fault. God tells them these things through a special hotline. I get a lot of prank calls too, but I usually just hang up. There are a lot of Christians in this country. And they spend and an awful lot of time griping about things. Some of them think Jews should leave the US if they don’t feel like celebrating Christmas. Which doesn’t make a whole lot of sense if you think about it. Some of them think people like me should rot in hell, after we die a horrible death. Preferably in a concentration camp. 9/11 was out fault.